Family and friends recently said goodbye to Michael W. Kieron, but his loss will be felt throughout Rhode Island, where he was known as the knowledgeable, caring and passionate naturalist who touched the lives of many. Kieron, 45, of Merritt Road in East Providence, passed away April 30 at Rhode Island Hospital. He was born in Providence, but he was a lifelong Townie. He attended Saint Margaret School. 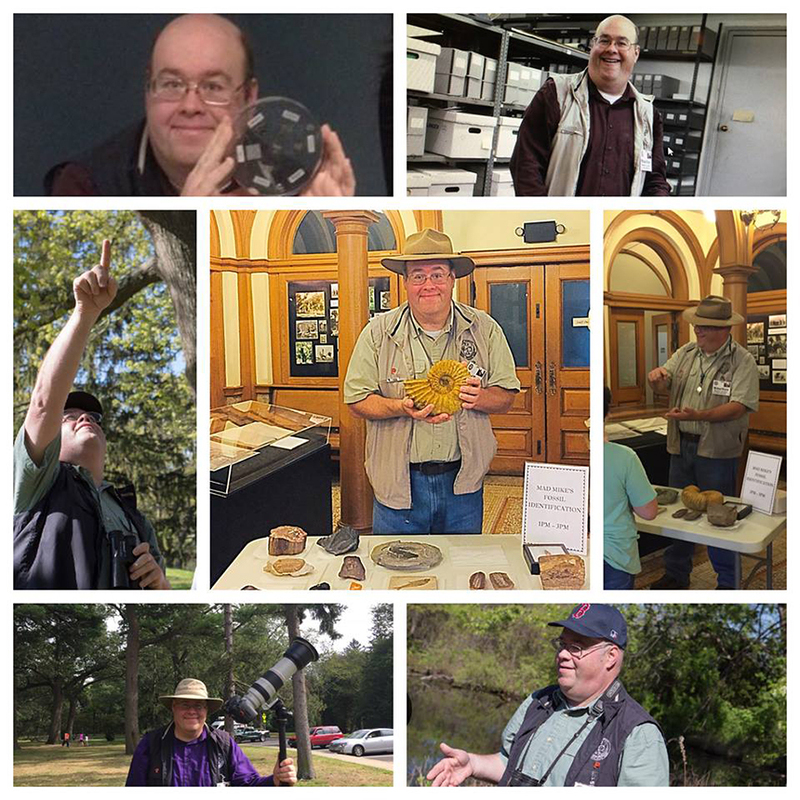 Mike, as he was known to family and friends, was the collections curator for the Museum of Natural History and Planetarium at Roger Williams Park in Providence. Mike began his career at the museum as a high-school volunteer. He became the assistant curator in 2005, and was promoted to collections curator in December 2013 by museum director Renee Gamba. Before being rushed to Rhode Island Hospital, Mike was helping Gamba lead a full-moon hike at Roger Williams Park. It was a cloudy, rainy evening but some 30 people had come out to hear Gamba and Mike speak. Gamba accompanied her friend on many of those adventures. Mike, an avid bird watcher and photographer, got both Gamba and assistant curator Matthew Becker hooked on watching and photographing birds. Shortly before Mike passed away, Becker bought a digital camera, inspired by “the wonderful wildlife and bird photos” his friend took. Mike was a graduate of the University of Rhode Island with a bachelor of science in geology and geological oceanography. He was well known in the natural history community, as he was a member of the Rhode Island Natural History Survey board of directors, was a member of the Rhode Island Mineral Hunters and the Boston Mineral Club, was an Audubon Society member, and belonged to many other geology and nature organizations. As the museum’s collections curator, Mike managed the curation of geosciences, ethnology, archeology, and invertebrate and vertebrate zoology. He also designed and installed exhibits. He worked with the Providence After School Alliance, helping children develop literary and science skills and introducing the young minds to a sense of place and respect for the natural environment. He worked as a naturalist at the Audubon Society’s Caratunk Wildlife Refuge. He was helping with the statewide American woodcock survey. Mike regularly volunteered at the Rhode Island Natural History Survey’s annual BioBlitz — this year’s event, held earlier this month at Camp Fuller in South Kingstown, was dedicated in his memory. Mike was the spider expert for this annual tallying of organisms. Gamba said the museum is planning an event for Nov. 17 that will highlight the things Mike collected and showcase his passions.